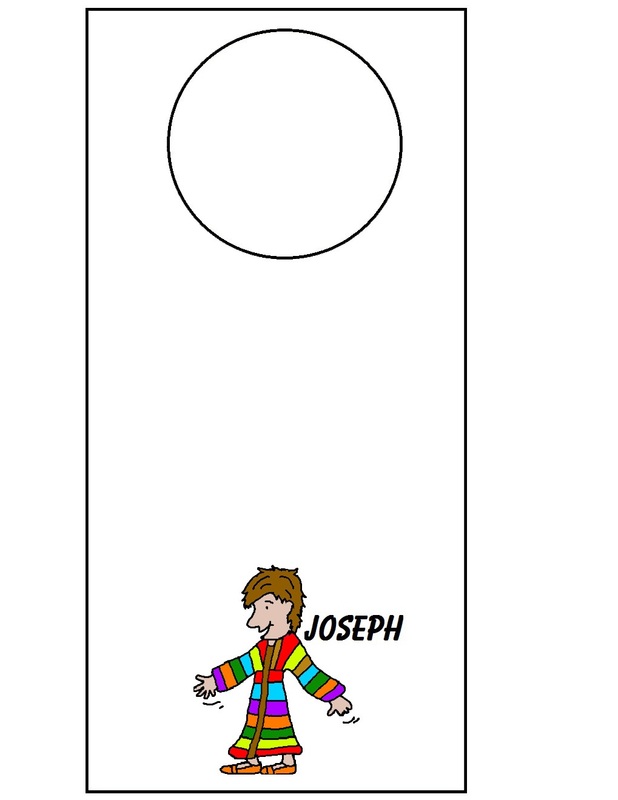 Print this Joseph and Coat of many colors doorknob hanger out on card stock or construction paper. 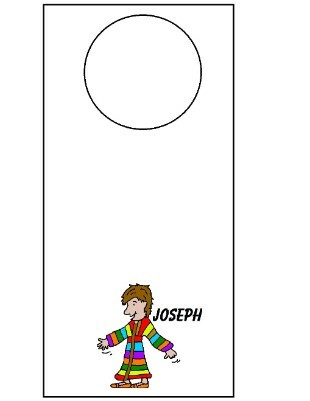 If you print it on white paper have the kids color the doorknob hanger. Have the cut it out and and hang it on their doorknob.